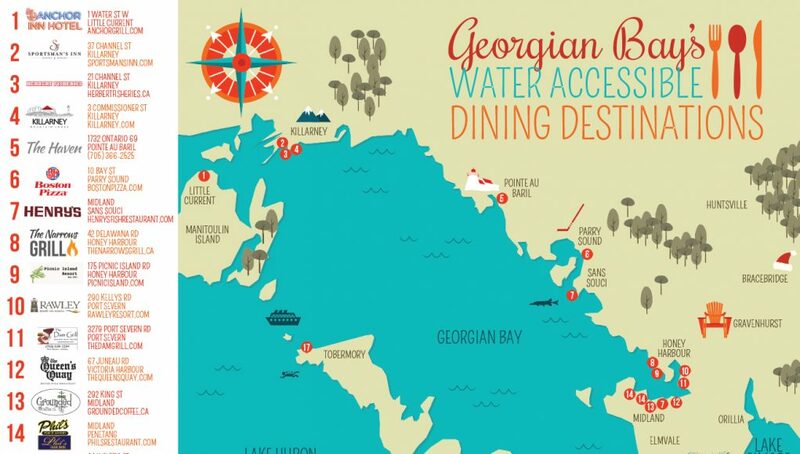 Ontario’s Georgian Bay region is a popular place for water lovers near and far and it’s chock-full of family-friendly dining destinations. Plan a date night away with your loved one or treat the family to a meal after a day on the water. 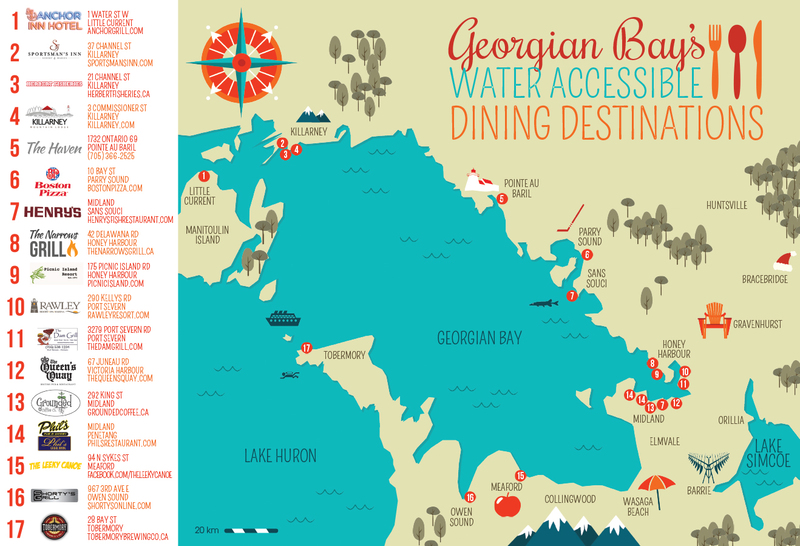 Make it your goal this summer to check out all the food joints dotting the shorelines of Georgian Bay! Click here to see the interactive map, featured in the Summer 2016 issue of Boats&Places.